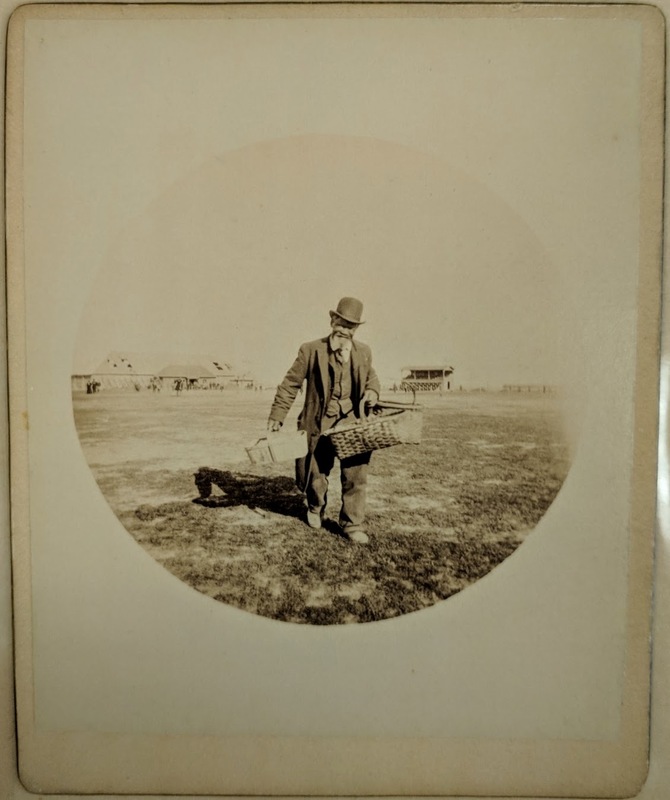 James Collins Johnson carrying a basket at an athletic event at Princeton. Caption on back of photo reads "James Odiferous alias James Johnson." 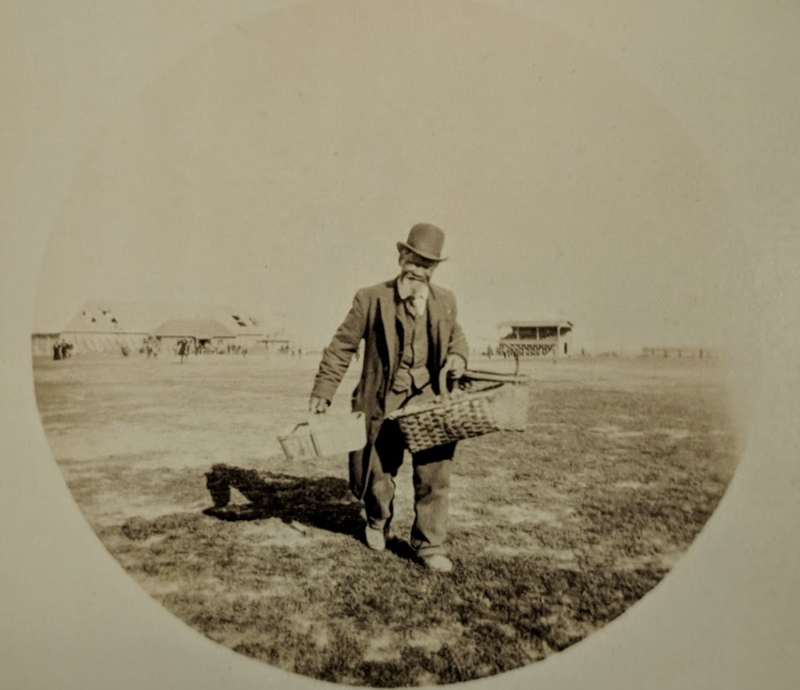 Hewitt, Erskine; 1891; Historical Photograph Collection, Student Photographers Series, Box SP1; Princeton University Archives, Department of Rare Books and Special Collections, Princeton University Library.